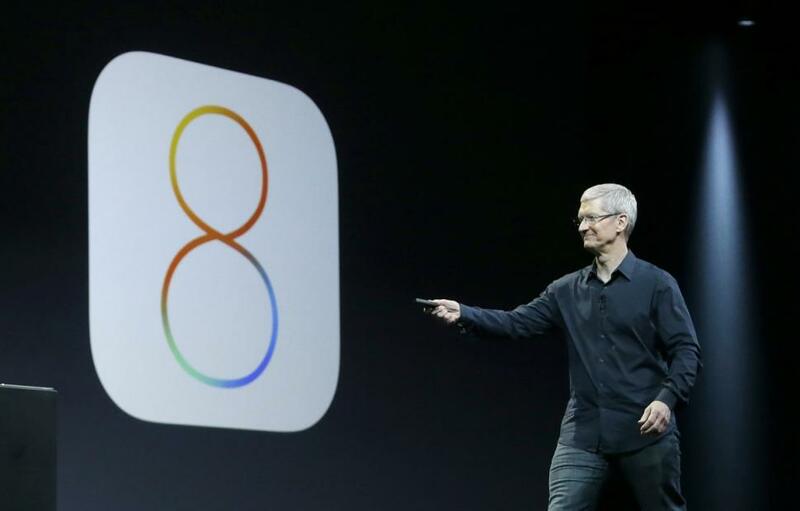 As promised earlier this month Apple has released the latest version of the company's mobile operating system, iOS 8. The new software update offers users a slew of new features and what Apple explains as "a simpler, faster and more intuitive user experience." For users looking for more details check below for a quick look at what devices support Apple’s latest OS, how to prepare for the update in advance, and how download it as soon as possible. Before diving head first into what you can expect from the newly updated software let's make sure your device supports it. As always Apple keeps tight restriction on what device will be allowed to run their newest operating system. This is mainly due to hardware limitation and the desire to ensure users get the best possible user experience. Given that, iOS 8 is only available on the devices listed below. It should also be noted that not all features — such as Apple Pay and continuity — will work on all devices or even within all countries. Before attempting any sort of major software update there are several things to be done. For starters we all know software updates can go wrong — and Apple’s are no exception. It’s always a good idea to back up your data before proceeding. Thankfully Apple makes that easy to do via iTunes or iCloud. This is always a major first step but it is one that will lessen the risk of you losing your contacts, messages, photos, and any other content you have stored on your device. To back up your iPhone via iCloud and your local Wi-Fi network, tap Settings on the iPhone’s home screen and select the iCloud option in the resulting menu. Then, select Storage & Backup and ensure the iCloud Backup is enabled, or simply tap the blue Back Up Now option at the bottom. Your second step should be freeing up some space on your device. Anyone that has done a major iOS update in the past and has had a device full of data will know that it can cause issues. You’ll reportedly need at least 1.4GB of free storage space to install iOS 8. So now is the time to free up some memory and do a little house cleaning. I suggest cruising through your photos, contacts, and apps for anything you no longer us or is severely outdated. You should have all that backed up now anyways but if not you can always offload it to your iCloud or iTunes account or store it elsewhere if you’re worried about losing those precious moments and music you rarely listen to. The last step in the process is updating iTunes and all your apps. iOS 7 should have automatically kept your apps up to date, but it only does so periodically. Launch the App Store as you would normally, tap Updates in the bottom-right corner, and then Update All to download and install the latest version of all your apps. Many developers have already begun to release software updates optimized for iOS 8 — even prior to the platform’s release — so it’s worth double-checking just in case. This also ensures you have a lesser chance of any compatibility issues. Updating iTunes at this stage is also critical if you are using it to install iOS 8 or just as a back-up in case something does go wrong! At the time of typing this the iOS 8 update has gone live and should be well on its way to you wirelessly. Once the update becomes available to you, ensure your iOS device is connected to both a charger and your local Wi-Fi network. Launch the main Settings menu, tap General and then Software Update, and press Download when prompted. Then merely tap Install when the download is finished. If installing via iTunes, connect your iOS device to your Mac or PC and select it beneath the Devices list in iTunes. Afterward, click the Check for Update button before selecting either the Download Only or Download and Update option. Allow the upgrade process to finish before unplugging your device, regardless of which method you choose. It could take awhile. What features can I expect in iOS 8? Amongst the new features are changes to iMessages such as predictive typing for Apple’s QuickType keyboard as well as the ability to create audio text messages and share the location via text. There will be several new Photos features including the ability for the device to automatically straighten horizons, and and the addition of smart editing tools so you can quickly adjust light and color with a swipe. For deeper fine-tuning, you can access individual tools to adjust exposure, brightness, contrast, highlights, shadows and more. A new integrated Health app gathers the information you choose from your various health apps and fitness devices, and provides you with a clear and current overview in one place. With your permission, each app can use specific information from other apps to provide a more comprehensive way to manage your health and fitness. Users will be able to gather and monitor their own fitness metrics using apps such as MyFitnessPal, RunKeeper and Strava. Healthcare providers can now monitor the data their patients choose to share through apps such as Mayo Clinic or Epic’s MyChart app that will be used by Duke Medicine and Stanford Children’s Health/Stanford Medicine, among others. More details on all the new additions and updates can be found here.